When submersible pumps in boreholes fail or break down they are sometimes too large and too deep to pull by hand or via pulley. In some cases it’s unfeasible or the health and safety risk is too great to even attempt it by hand. 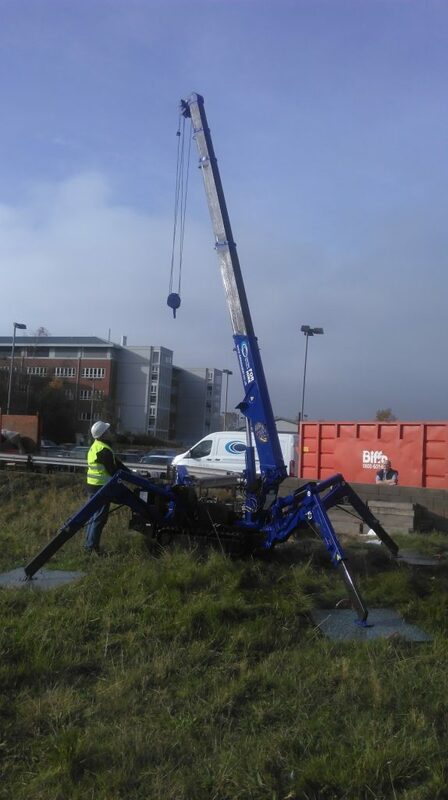 Our spider crane is the ideal solution. 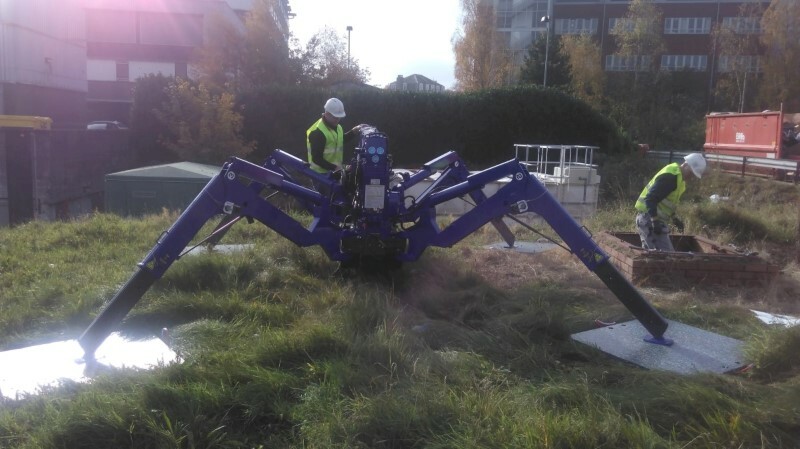 Manned by highly trained and experienced staff, our spider crane can be mobilised quickly and is able to retrieve borehole pumps from deep boreholes in the tightest of spaces. 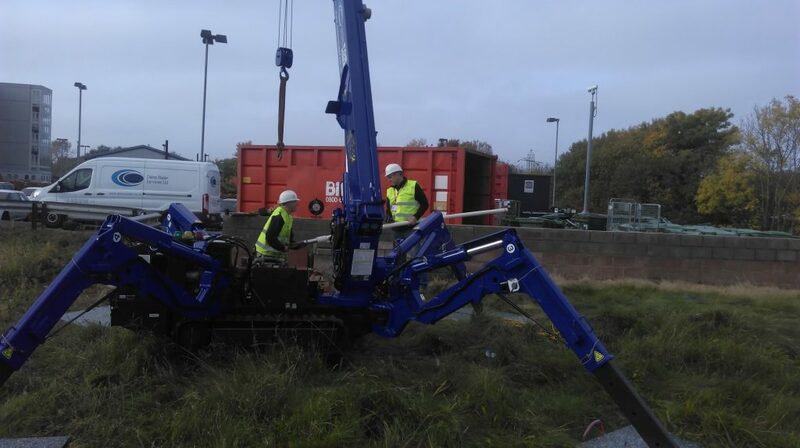 Our specialist spider crane pump pulling and associated infrastructure service is quick and cost effective. 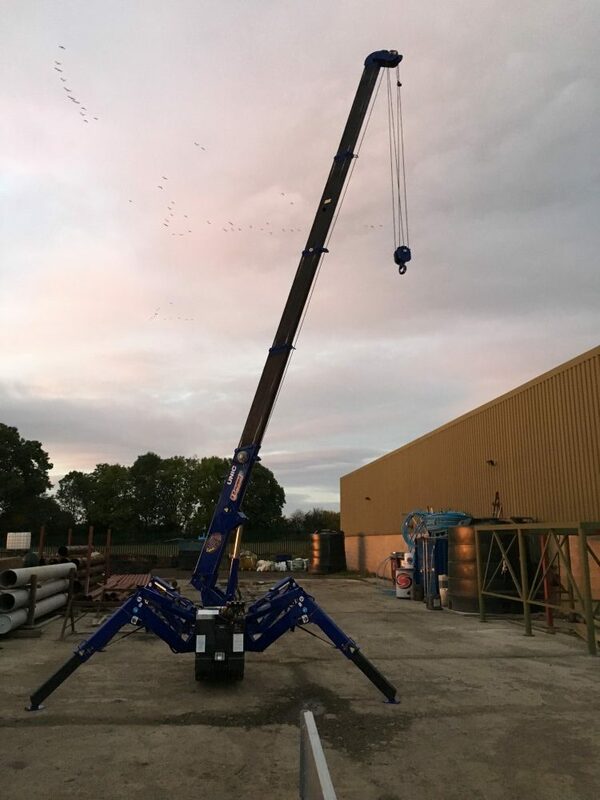 The crane’s compact size allows it to get into tight spaces and travel over a wide range of terrains where traditional lorry mounted cranes can’t get to. 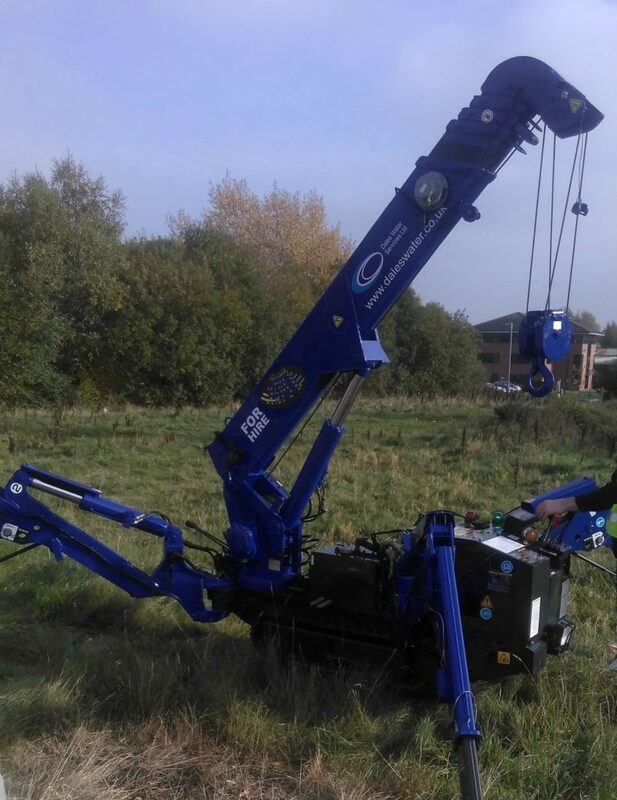 Despite it’s small footprint the crane can still lift up to 2.9 tonnes making it capable of lifting variety of medium and heavy borehole pumps which need to be removed or installed into a borehole. Whilst traditional truck mounted cranes can sometimes be used to install or retrieve a borehole pump they have a number of problems. They have long lead times, require a lot of planning and are prohibitively expensive. This can often lead to increased down time without borehole water which can cause big problems for both domestic, agricultural and industrial borehole water users. The logistics when using one are also problematic. Lorry mounted cranes require a lot of space and cannot travel or operate on softer ground. 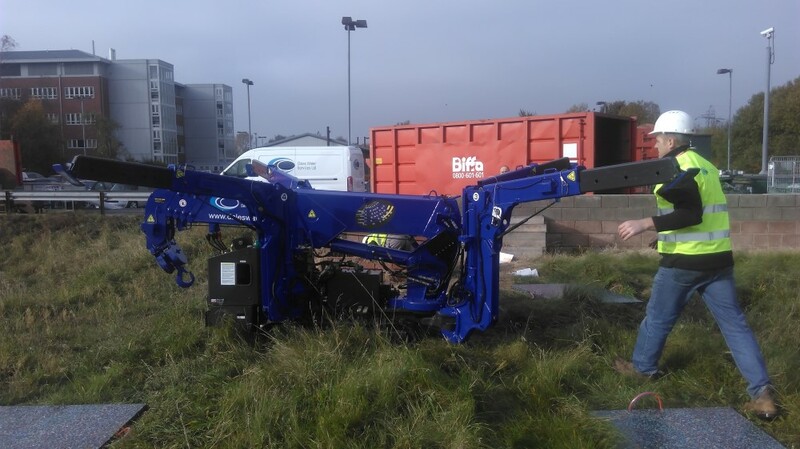 This makes them impractical for a lot of borehole sites where space is tight and soft, uneven ground is commonplace. The URW295 Mini Spider crane is currently the leading compact crane on the market. At just 60cm (24 inches) wide, allowing it to travel through a standard doorway on it’s versatile rubber tracks. Suitable for use on various terrains and even indoor use thanks to it’s lightweight design allowing the crane to be moved from floor to floor in a standard freight elevator or over soft uneven ground. 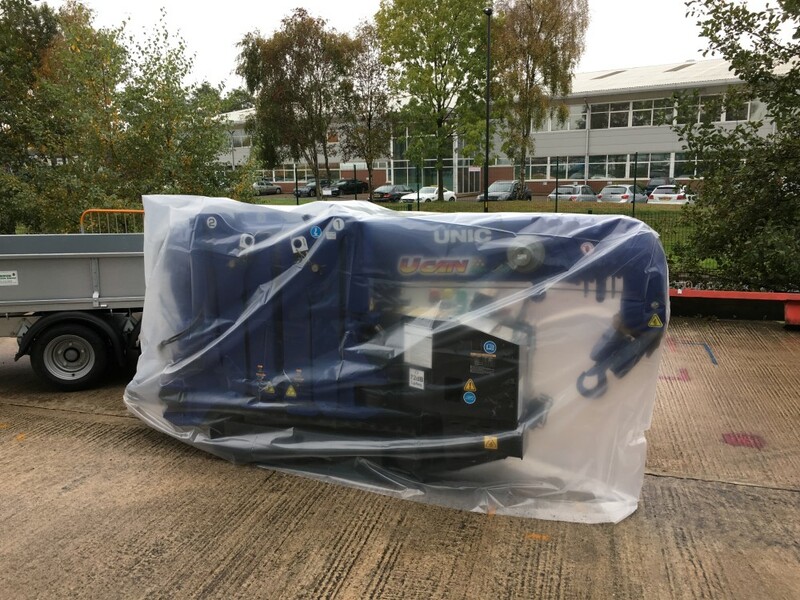 Alongside it’s flexibilty, the URW295 has a continuous rotation of 360 degrees and a maximum lifting capacity of 2.9t (6500lbs). With an extremely variable geometric footprint thanks to adjustable outriggers. (52 different positions) the crane can be set-up in tight spots such as rooftops, domestic properties. As an added feature, the URW295 model comes equipped with a wireless radio remote control system; freeing the operator from being tethered to the crane for unlimited positioning. Does your heavy borehole pump need installing or removing? 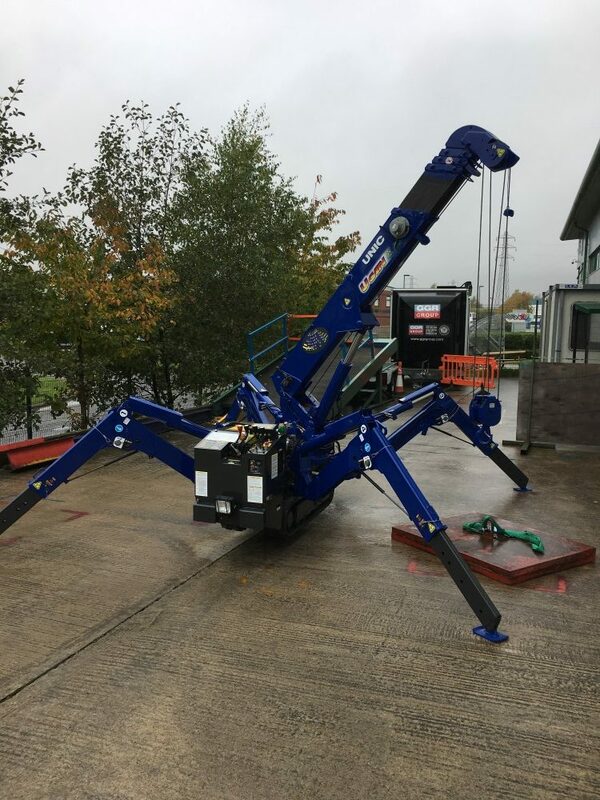 Speak to a member of our team about how our spider crane can help.